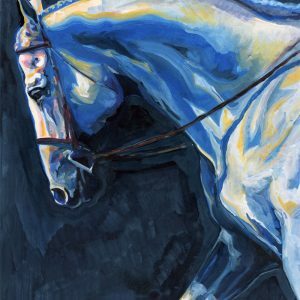 Joanna’s work encompasses the world of equestrian and wildlife art, but she primarily focuses on the English riding disciplines of hunter/ jumper, dressage, and eventing… although some exciting new series are in the works featuring Thoroughbred racing, polo, Standardbred trotters, and Western disciplines. 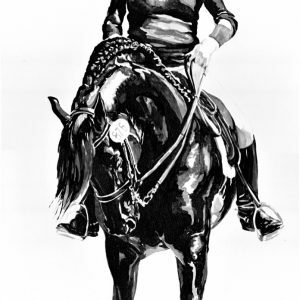 Her artwork appeals to equestrians and non equestrians alike and depicts the strength, beauty, and athleticism of the horse. Using a broad variety of media, she works with clients to develop the perfect piece of artwork, whether to commemorate a champion, accurately capture the excitement of equestrian sport, or simply express the unique bond between horse and human.